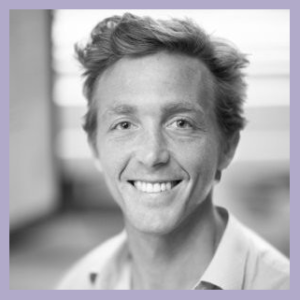 Guest blog: What is Moving Medicine? What is an MSK Network? Moving Medicine is an exciting new initiative by the Faculty of Sport and Exercise Medicine in partnership with Public Health England and Sport England. It is dedicated to spreading best practice, research and advice to clinicians and patients to create a healthier, happier and more active nation. On the 16th October 2018 the initiative was formally launched by the Honourable Matt Hancock, Secretary of State for Health and Social Care, headlining the flagship set of resources to support high quality conversations on physical activity across a broad range of chronic diseases including musculoskeletal pain. The UK is currently suffering epidemic levels of physical inactivity in keeping with global trends. This inactivity causes a heavy burden of morbidity and mortality. This burden, In contrast to communicable disease, can be prevented and effectively treated through moving more. In no areas is this more important that musculoskeletal conditions. At the heart of intervention in healthcare lie conversations between healthcare professionals and members of the public. These conversations provide a unique opportunity to interact with the least active members of society, but many healthcare professionals currently lack the skills, knowledge and systems to deliver impactful conversations on physical activity. How has it been developed? The ‘prescribing movement’ resources have been developed by a large team of Sport and Exercise Medicine doctors in consultation with 300 medical specialists, general practitioners, researchers and patients. The foundations of the content lie in robust reviews of the literature on physical activity in specific diseases and differ from other resources summarising the evidence base on physical activity as the structure has been designed by clinicians for clinicians to use in practise. A knowledge into action framework, Delphi study and behavioural change framework have underpinned this iterative development process. The result enables the user to dig as deep as they want to into the evidence base, embedded in a time-based framework to support good quality conversations based on established behavioural change techniques and motivational interviewing theory. What does this mean for musculoskeletal care? 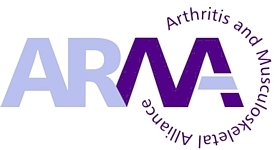 The Moving Medicine musculoskeletal pain resource has been designed with experts in musculoskeletal care in partnership with many ARMA members. Due to the exceptional input from the ARMA network this resource has been developed to fulfil an unmet need in the excellent resources available. It is a practical resource to support and inform clinical staff in routine practice and has been designed to support conversations. We encourage everyone to use and share the resources. 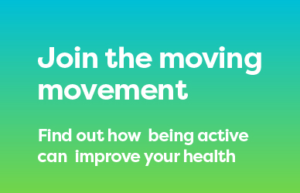 If you are keen to find out more or contribute to the Moving Medicine to get in touch with us at contactus@movingmedicine.ac.uk, join our Facebook ambassador group or follow us on twitter @movingmedicine – we would love to hear from you. Visit the website at www.movingmedicine.ac.uk.